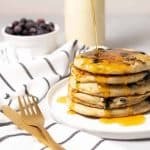 Looking for a hearty, high-protein, cholesterol free breakfast? I’ve got you covered. 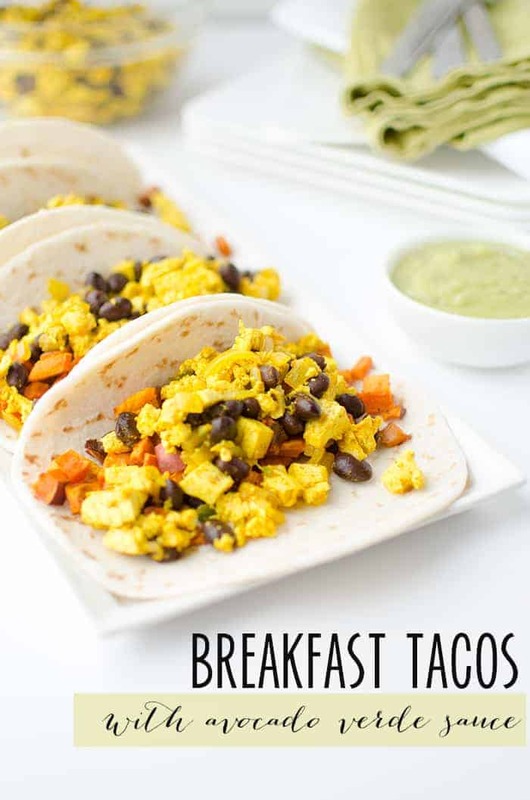 A twist on the more traditional breakfast burrito, this tofu breakfast taco is savory, a little sweet, with the right amount of spice. 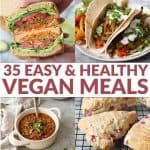 Completely vegan with a gluten-free option, just use corn tortillas over flour. 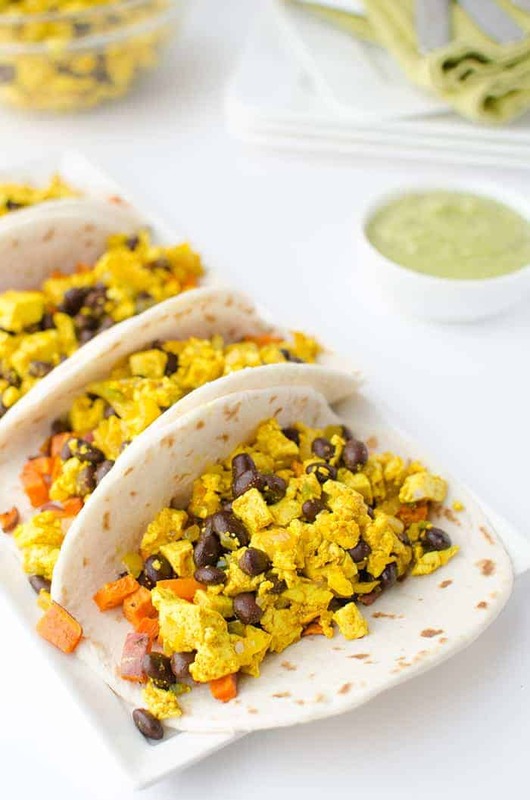 Breakfast Tofu Tacos! 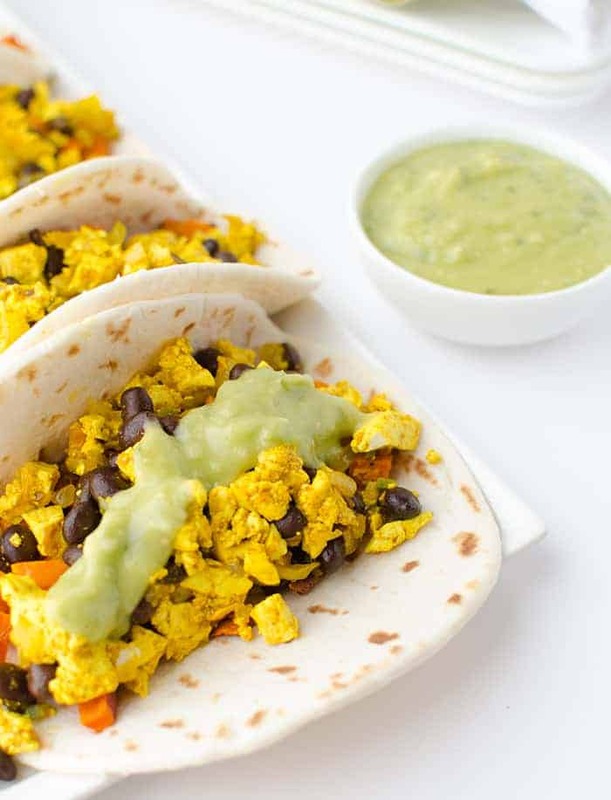 Layers of roasted sweet potatoes, tofu scramble, and black beans. Topped with a avocado-verde sauce. Make the potatoes. Preheat the oven to 400 degrees F.
Make the scramble: start by sweating the onion and pepper over medium high heat with a tablespoon of oil. Cook until onion becomes translucent, about 5-7 minutes. Add the salt, turmeric and paprika. Stir to combine and continue to cook over medium heat until warm, about 5 minutes. Add the black beans and stir to combine. Start with a warmed tortilla (heat it in a dry skillet for 1-2 minutes per side). 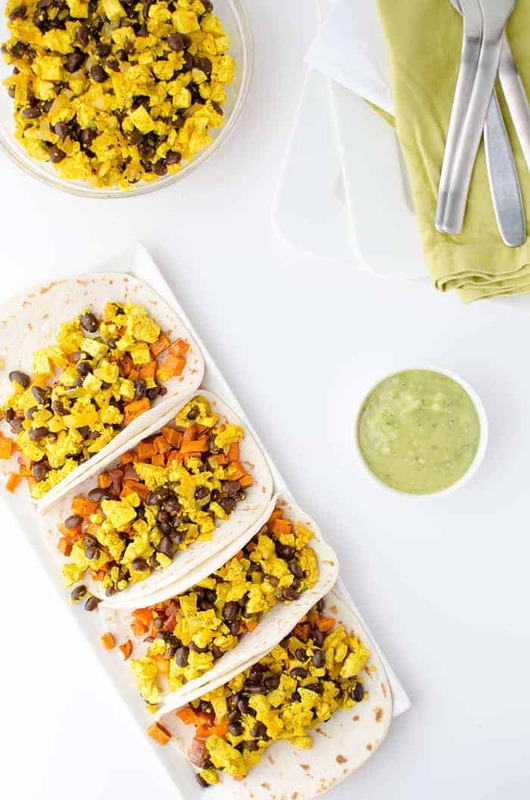 Layer the tofu scramble, black beans and the sweet potatoes. Top with the avocado salsa verde or sliced avocado and 1 tbsp. salsa verde.